The Joker's holding function means that nuts and bolts can be held in the jaw and easily positioned where they are needed. The Joker's clever double-hex geometry delivers a very positive connection with nuts and bolts, Making it a perfect fit. The Joker offers a fastener holding function, a secure grip on fasteners thank to no limit stop, an anti-slip effect making it safer to use and a very small return angle thanks to its unique double-hex design. The Zyklop ratchet combines five ratchet types into one. Add Wera's universal bit adaptor and this ratchet doubles as a right angle or in-line screwdriver. The ratchet head can be locked or released at 0°, 15°, and 90°. The Wera Bit Ratchet should be your first choice where lack of space prevents the use of standard ratchets. 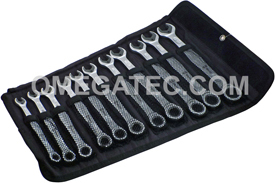 1/2'' x 3.25'' OAL makes this one the smallest and strongest ratchets available. This ratchet will accept both power and insert bits. All sets feature Wera's multiple position head, ergonomic handle and free spinning sleeve all stored in a high density dual color foam metal case keeping contents secure. 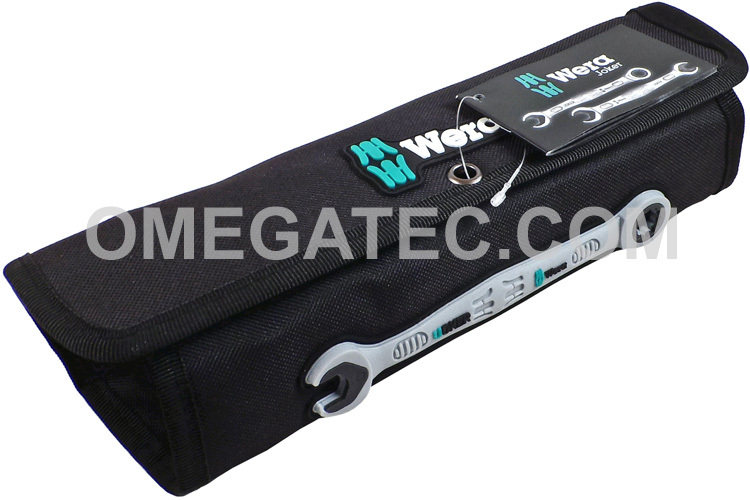 Wera Kraftform 6 Piece 160 i/6 VDE Screwdriver Set is designed for the professional user. Wera's multi-component ergonomic handle fits the shape of the hand for the ultimate in comfort and high speed torque. Hex-Plus L-Keys for hexagon socket screws provide more contact surface inside the screw profile. This reduces the notching effect to minimum and protects the head of the screw from rounding. Hex plus tools can also transfer up to 20% more torque. Wera Kraftform Micro Screwdrivers are accurate, powerful, fast and ergonomic. The precision zone directly above the blade provides a better feel for the rotation angle during fine adjustment work. The Joker's holding function means that nuts and bolts can be held in the jaw and easily positioned where they are needed. The Joker's clever double-hex geometry delivers a very positive connection with nuts and bolts, Making it a perfect fit.